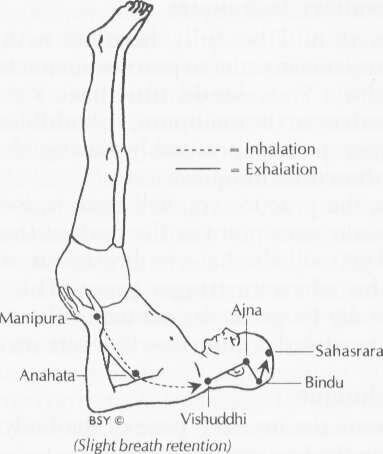 Viparita Karani (Sanskrit: विपरीतकरणी ; IAST: viparītakaraṇī) or Upside-Down Seal is an asana. 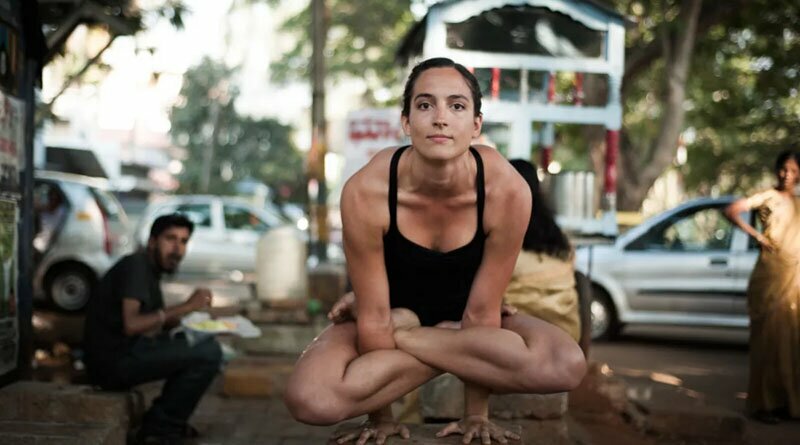 The name comes from the Sanskrit words viparita meaning “inverted” or “reversed”, and karani meaning “doing” or “making” and asana (आसन; āsana) meaning “posture” or “seat”. Viparita Karani is a supine asana with vertical legs. Sit down with your support about five to six inches to your right side. Place a bolster or two-folded blankets close to your waist so that they can support you when you tilt backwards. Take in a deep breath and while exhaling, tilt your torso slightly towards the bolster while swinging your legs up against the wall for support. Allow the front portion of your torso to round up gently as you tilt yourself backwards and lie down. The bolster pillow or folded blankets should support your waist. If you find yourself slipping off, readjust your position and try again. You may need to move a little closer to the wall. Feel the stretch from your pubis to your shoulders. Keep your legs straight up even if all you can think of is bending them. Release the base of your skull and lift it away so that you soften the stretch that you feel on your throat. Tilt your head downwards, but do not allow your chin to touch the sternum. Open up your shoulder blades and allow your arms to rest at your sides, with both the palms facing upwards. To keep your legs firm and straight, release the weight of your torso and feel it weighing deep into the back of your pelvis. Hold the pose for at least five minutes. More proficient practitioners may hold the pose for 15 minutes. Keep breathing normally throughout the pose. It is best not to perform this pose while menstruating. Avoid it if you have serious optic problems such as glaucoma. If you experience tingling in your feet or legs, immediately come back into the sitting position. Keep breathing normally and use the rhythm of your breath to keep your legs high up. 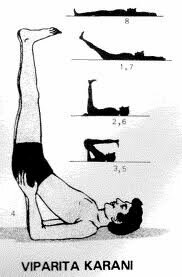 It is recommended that you leave your legs flat upwards. However, if you find yourself unable to do so, allow your knees to bend a little. Do keep in mind that bending them too much will defeat the purpose of the pose. It helps to reduce inflammation and soreness in the abdominal area. The legs up the wall pose helps in circulating the blood back to the heart, thus detoxifying them and keeping them healthy. It stretches the back muscles and therefore can be helpful in treating back aches. 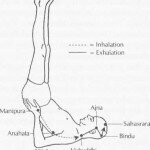 It opens the chest area and therefore helps to breathe easily. The neck muscles are easily exercised when practicing the legs up the wall pose. When performing the pose, spread your legs apart to stretch your groin. However, this can only be performed when your supporting wall is wide enough. 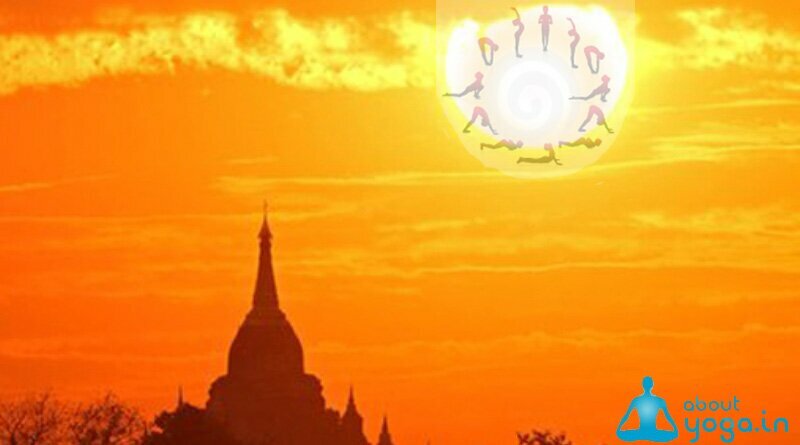 You may also try bending your knees and bringing your feet together so that the soles of your feet touch each other.